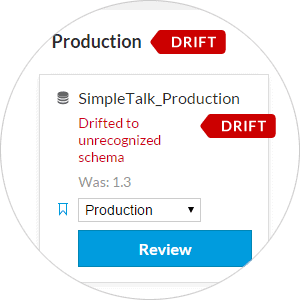 Be the first to know when any of your database schemas change with this new free tool. Get email alerts when databases drift, and see a detailed history of database changes. Fast, comprehensive static analysis for T-SQL code, showing code complexity and object dependencies. Learn more. Be the first to know when any of your database schemas change. Learn more. Quickly search for SQL across your databases. Learn more. Browse the SQLServerCentral script library and open scripts directly in SSMS. Learn more. Superior visualization of SQL query execution plans.Learn more. Script your SQL query results to INSERT statements or to Excel-compatible spreadsheets. Learn more. Detect and correct defects in managed code. SQL Enlight uses the dynamic management information in SQL Server to give detailed, accurate analysis, monitor server instances, and tune performance. Learn more. Connect your database to your version control system inside SQL Server Management Studio. Link your database to SVN, TFS, Git, Mercurial, Perforce and more. Learn more. Test-driven database development in SQL Server Management Studio. Start writing and running unit tests straight away, and discover defects much earlier in the development cycle. Learn more. Generate data flow diagrams from any T-SQL stored procedure. Detailed dependency analysis of the code, down to the column level, and much more. Create documents as PDF, PNG or SVG.Learn more. Batch Compiler is a Microsoft SQL Server Management Studio (SSMS) add-in that lets you run hundreds of script files in one click, generate zip packages, consolidate them into a single file or SQLCMD scripts. Learn more.